Prechtl | New England Custom Gun Service, Ltd. 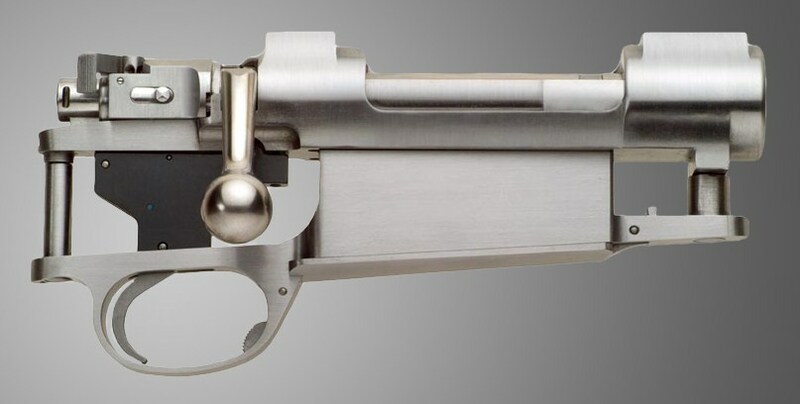 Produced by Gottfried Prechtl, in Germany,the sought after Prechtl MJ98 Magnum systemis made to the original drawings of Paul Mauser. There are, however, some technical details of the new action that have evolved to fit the requirements of todays high performance ammunition. 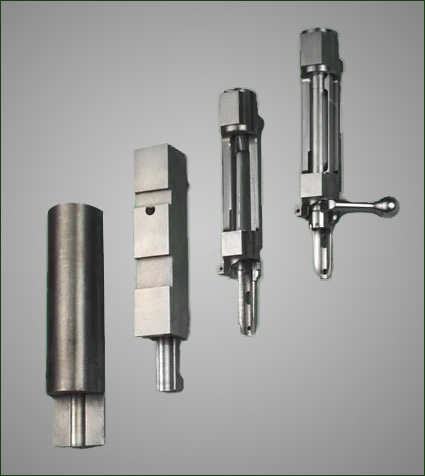 For example, the extractor was lengthened by 8 mm, to ensure even better cartridge chambering and extraction for cartridges like the 460 Weatherby, additionally the ejection port was extended by 8 mm, to handle the biggest cartridges. The Prechtl MJ98s double square bridges were increased by 2 mm to handle greater pressure and recoil. 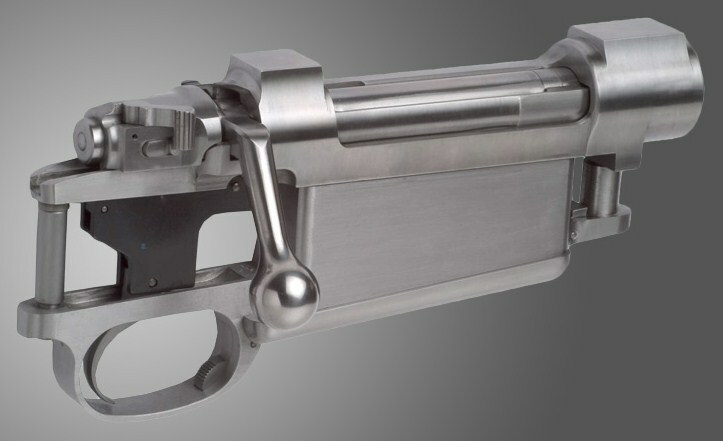 All parts are machined from solid stock, where a total of 33lbs of steel is machined to a finish product weighing slightly less than three pounds. This process that takes approximately 92 hours for the completion of one action. Magnum Action with optional accessories. Mauser Flag Safety Standard Action with optional accessories. The Prechtl MJ98 Action is available in 2 lengths, Standard and Magnum. The actions can be made to a specific cartridge. 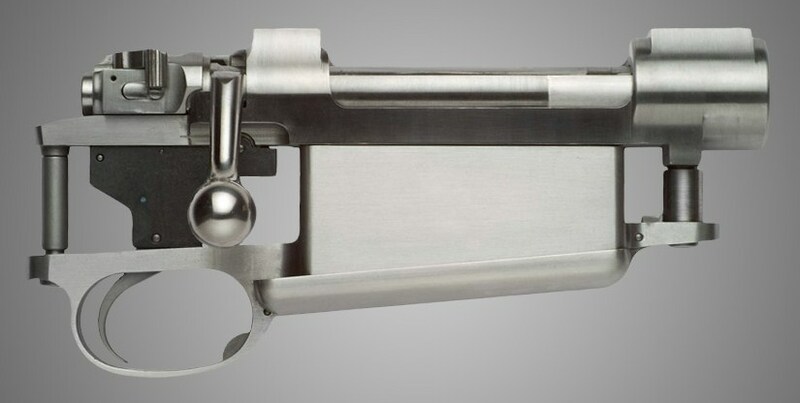 Machined Bolt with Mauser Style Bolt Knob (High-Open Sight Model). 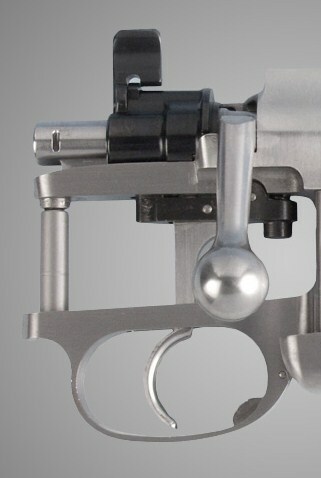 Mauser 98 2 Stage Trigger. Standard Depth Magazine Box with Flat Floorplate. Other models and accessories are available upon request.